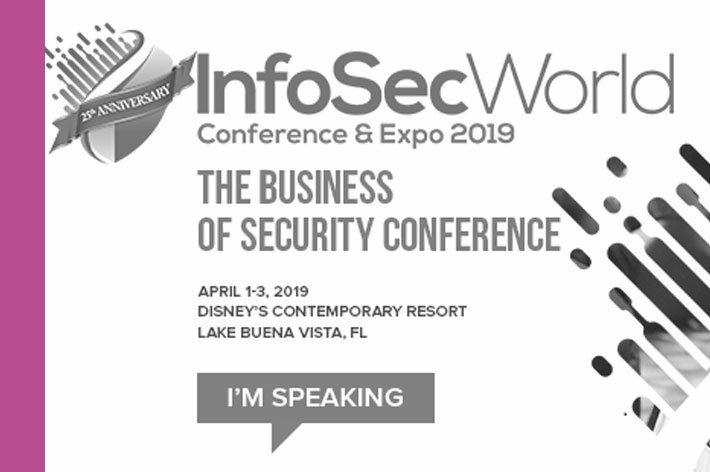 Sentry Data Systems’ Chief Information Security Officer to present at InfoSec World 2019 - Sentry Data Systems, Inc. Sentry Data Systems’ Chief Information Security Officer to present at InfoSec World 2019 - Sentry Data Systems, Inc.
John Ceraolo, Sentry’s Chief Information Security Officer, will be presenting at the upcoming InfoSec World 2019 Conference and Expo, April 1-3, at Disney’s Contemporary Resort, Lake Buena Vista, FL. The session, “Continuous Security: Expanding Beyond the Audit Environment,” held on April 3 at 9:30am, will discuss how audit requirements for issues such as vulnerability scanning, patching and other critical controls are not necessarily best practice based on the timeline they request and how continuous control execution helps to manage the inevitable changes that go on in your environment. John is an internationally recognized author and speaker with more than 20 years of experience in the information security industry.